The Canary Cottage Restaurant and Cafe was located at 46 Monument Circle, in the southwest quadrant of the city’s celebrated signature centerpiece. The dining establishment occupied the first and second floors of the structure originally known as the Journal Building, the facade of which survives today as a part of Emmis Plaza. Erected in 1897, the four-story Journal Building was home to the Indianapolis Light and Heat Company (now Indianapolis Power & Light Company) and The Indianapolis Journal, a newspaper that was published from 1825 to 1904. The Journal Building was originally built in two essentially freestanding sections. 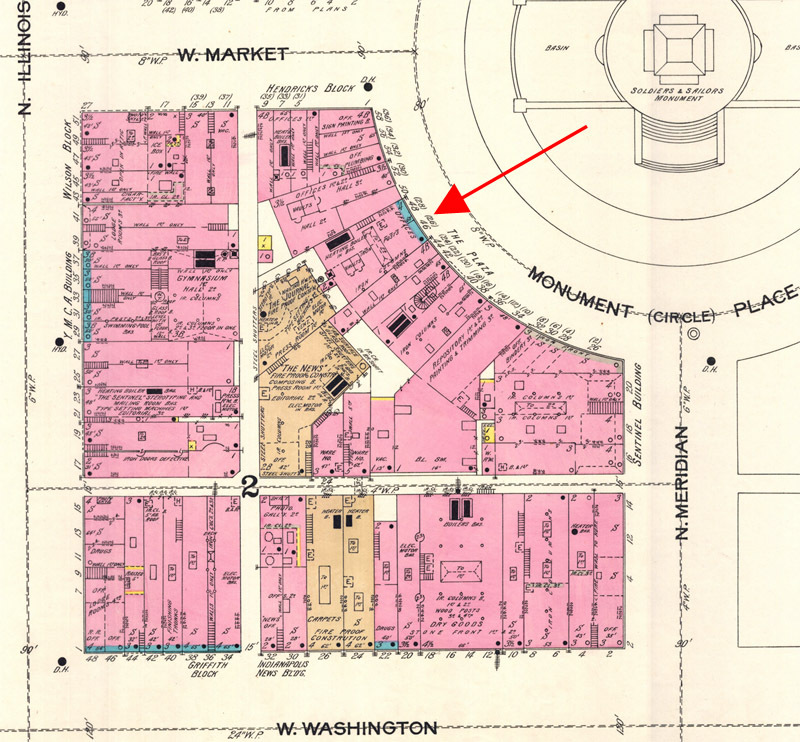 The offices were in the front section, facing Monument Circle, and the mechanical systems were in the rear section, facing a north-south alley called Bird Street. After The Journal was purchased by The Indianapolis Star, which had its own building, the entire Journal Building was occupied by IPL for about three decades. The building was called the Edison Building during that time period. In 1935, IPL moved to the northwest quadrant of Monument Circle to the Continental Bank Building, which formerly stood in IPL’s current location. 46-48 Monument Circle then sat vacant for a couple of years. Canary Cottage Restaurant and Cafe first appeared in an Indianapolis City Directory in 1935. At that time, it was located at 2503 Central Avenue in a building that also housed a Kroger Grocery and Bakery. By the time of the 1938 directory, Canary Cottage had moved downtown to 46 Monument Circle, where it remained for the rest of its existence. Sharing the Journal/Edison Building with Canary Cottage were the Indianapolis Press Club on the third floor and the studios of WFBM Radio (and later, WFBM TV, as well) on the fourth floor. 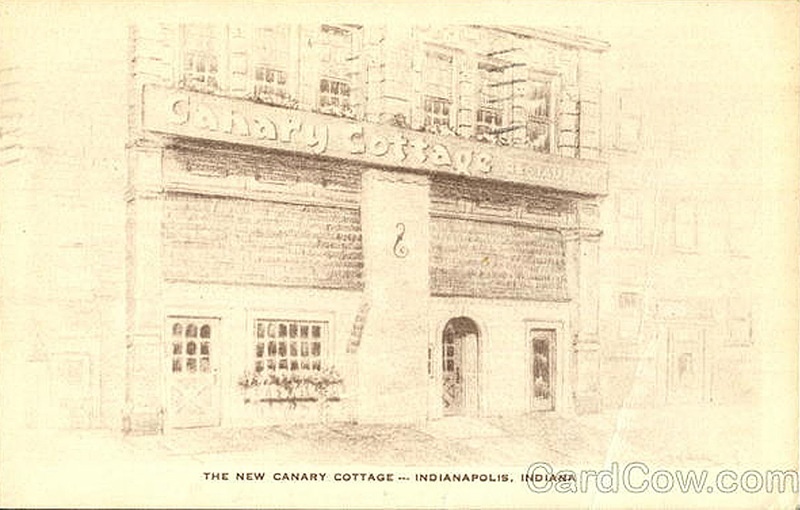 Canary Cottage Restaurant and Cafe was part of a small chain of restaurants located in three states — Kentucky, Ohio, and Indiana. The president of the company was Richard M. Wheeler, who resided in Lexington. 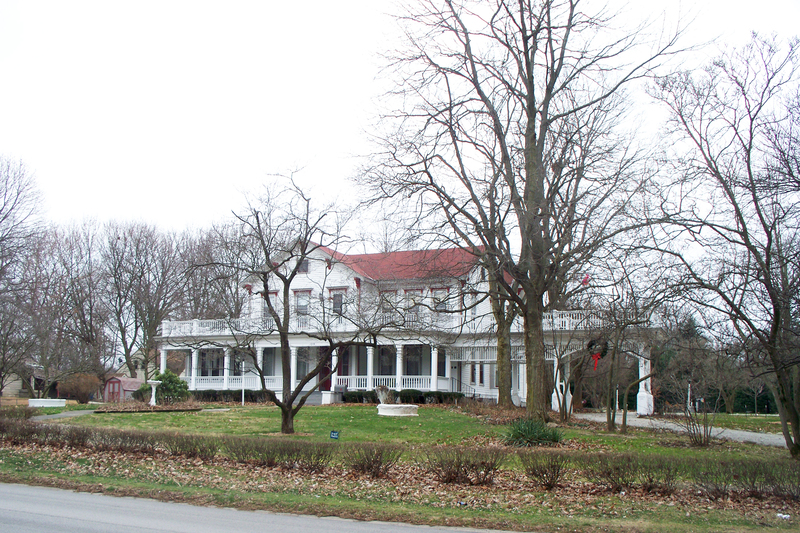 Wheeler hired local managers and employees to carry out the operations of Canary Cottages in Lexington, Louisville, Cincinnati, and Indianapolis. 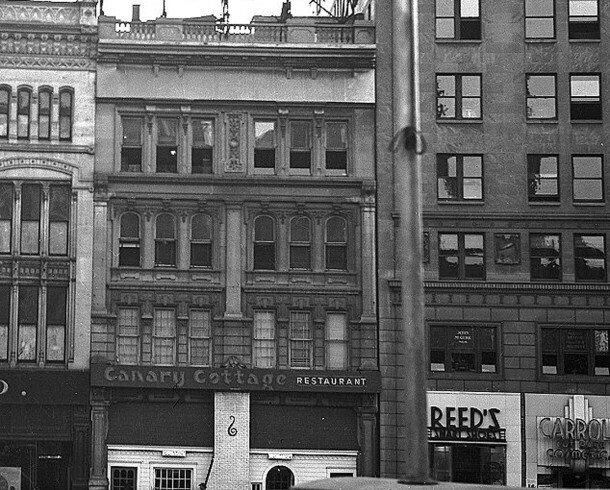 In the first year that Canary Cottage Restaurant was located on Monument Circle, employees included Albert F. Craigle, manager; Wenonah Bridges and Anna Stoffregen, hostesses; Charles Alexander, chef; Charles M. Anderson, Jr., bartender; Ada M. Good, Merlene Helm, Hazel M. Hitch, Pearl Hunter, and Doralee Willock, waiters; Mary V. Baugh and Irene M. Hunt, check room girls; Milton Clarkson and Lucien P. Murrell, busmen; and William Thompson, driver. Canary Cottage appealed to a wide variety of customers. During the day, downtown office workers walked there on their lunch hours. Women’s groups met there for social hours and a bite to eat. At night, it was a popular spot among businessmen and couples for a nice dinner out. The facility also hosted special events. In one newspaper account, bride Virginia L. Bassett, a professor of music at Ohio State University, and groom Norman C. Pickering, a member of the Indianapolis Symphony Orchestra, held their wedding reception at Canary Cottage, following their nuptials at Central Christian Church. 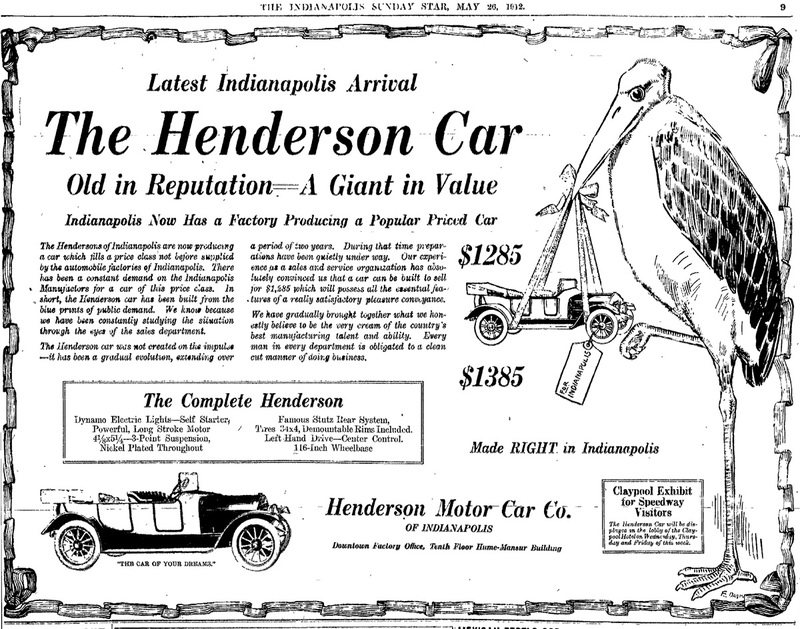 With the Indianapolis Press Club occupying the fourth floor of the Journal Building, there were probably more than a few journalists and politicians who frequented Canary Cottage, as well. 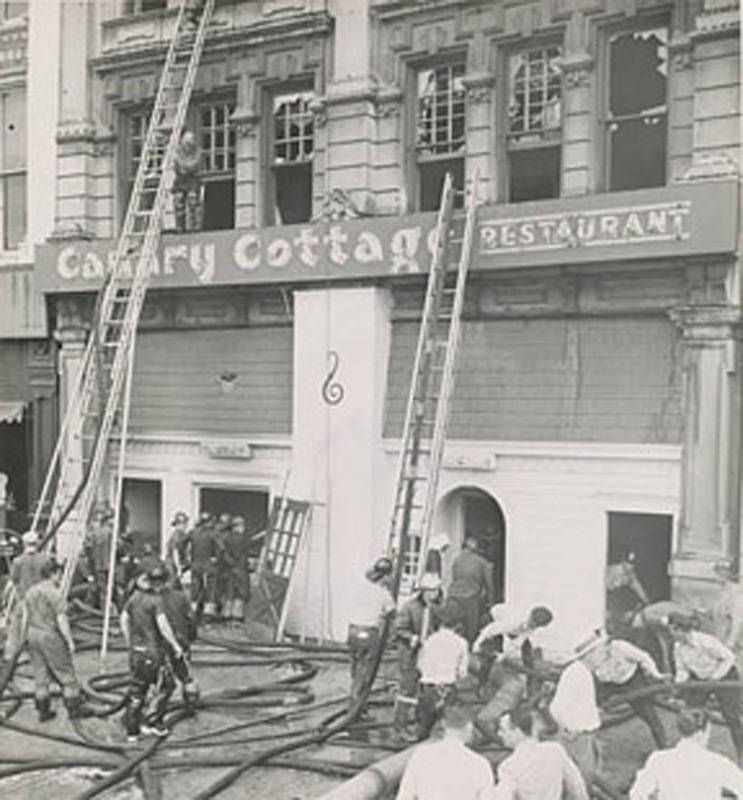 Unfortunately, Canary Cottage unexpectedly met its demise on Thursday, July 2, 1953, when a fire broke out in the basement of the building. It took more than ten hours for the blaze to be brought under control. 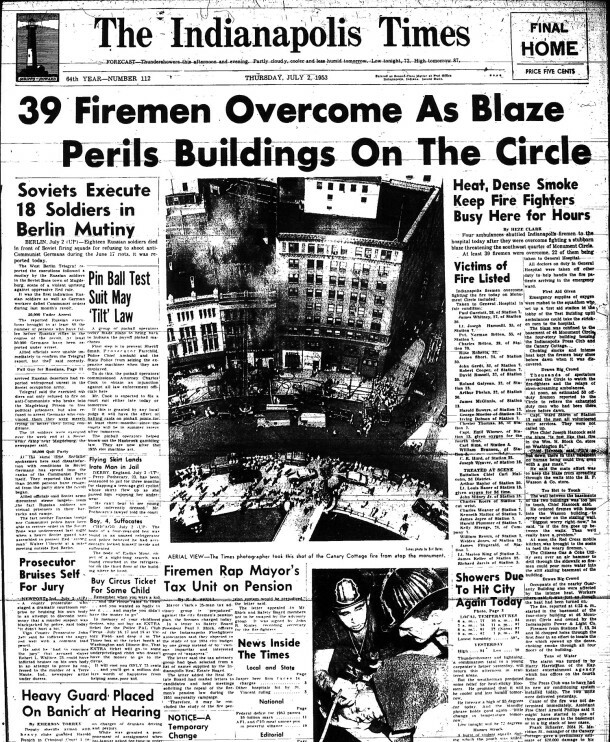 Many firemen were overcome by fumes or injured by broken glass. In the initial hours after the fire was extinguished, it appeared that City Building Commissioner, Charles E. Bacon, might condemn the building. However, the building was ultimately given the okay to be repaired. 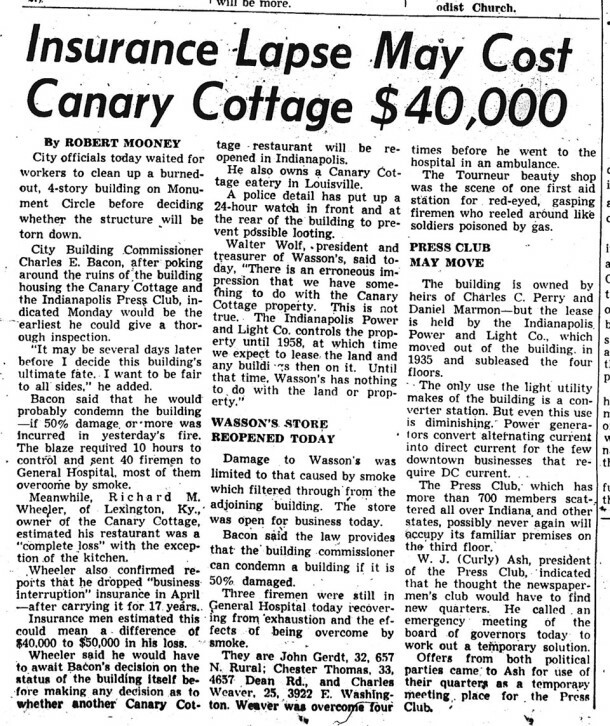 The Lexington-based owner of Canary Cottage admitted that he had dropped some of his insurance coverage that year, after having carried it for the 17 prior years. 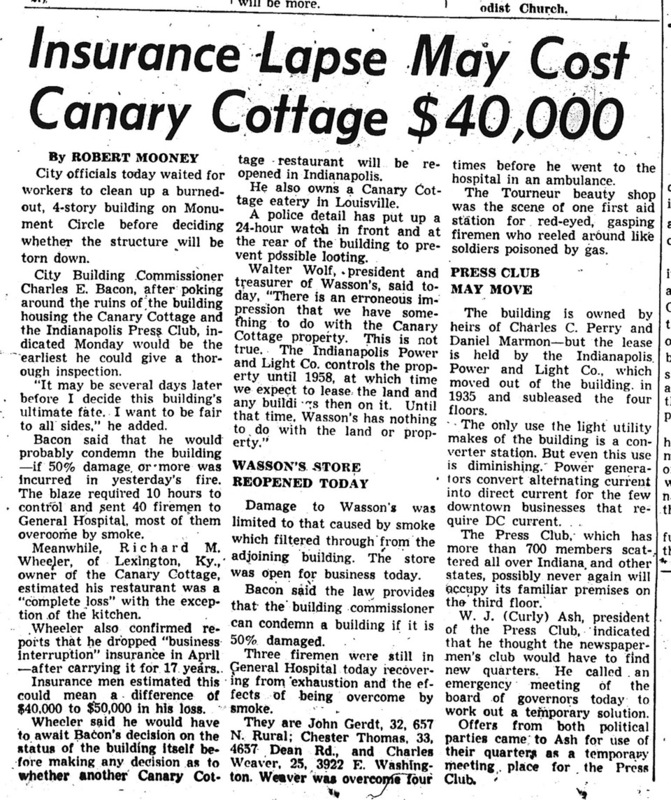 As he did not have the financial resources to rebuild the restaurant, Indianapolis Canary Cottage ceased to exist. The other tenants in the Journal Building found new homes. After a couple of brief temporary locations, the Indianapolis Press Club moved to the Stratford Hotel at 136 West Market Street, adjacent to the Indianapolis Traction Terminal. In later years, it would move to the brand new Indiana State Teachers Association (ISTA) high-rise. Kay Keiser’s Theatrical Booking Agency moved to the the State Life Building at 15 East Washington Street. Coincidentally, that building burned down a few years later (and remains a vacant lot today). Some interesting details were revealed in news accounts of the fire. 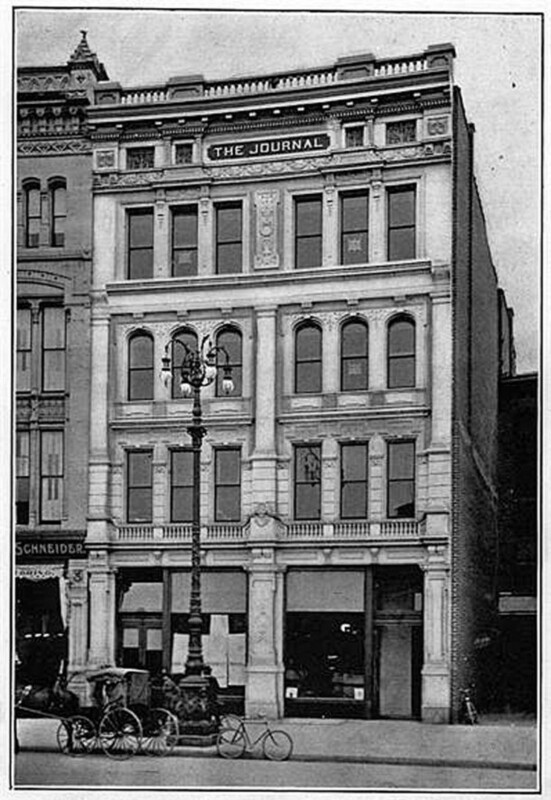 The Journal Building was owned by the heirs of Charles Coffin Perry (1857-1924 ) and Daniel Williams Marmon (1844-1909). 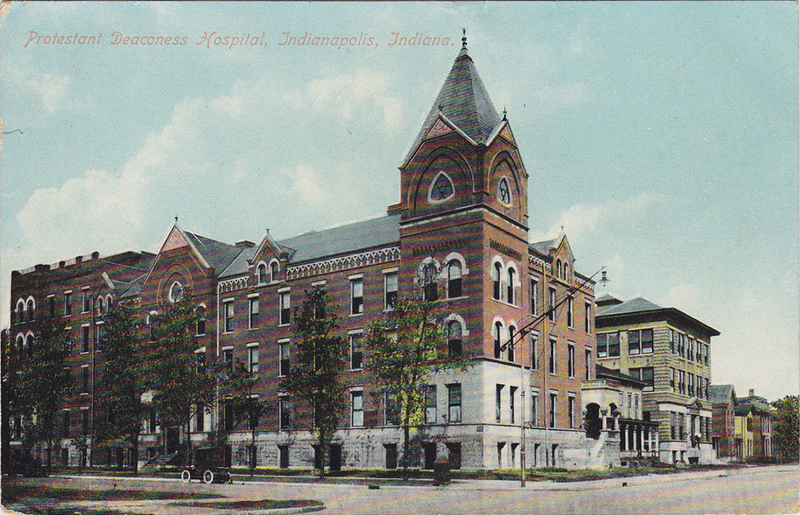 Both men grew up in Richmond, Indiana, and moved to Indianapolis for the potential opportunities offered by the capitol city. In addition to the many other accomplishments for which they are known, Perry and Marmon were also the founders of the electric company that became Indianapolis Power & Light Company. That fact provided the clue as to why IPL had continued to hold the lease on the Journal Building for decades after it moved to new quarters. At the time of the Canary Cottage fire, H. P. Wasson Company was scheduled to take over the lease that IPL had on 46 Monument Circle. 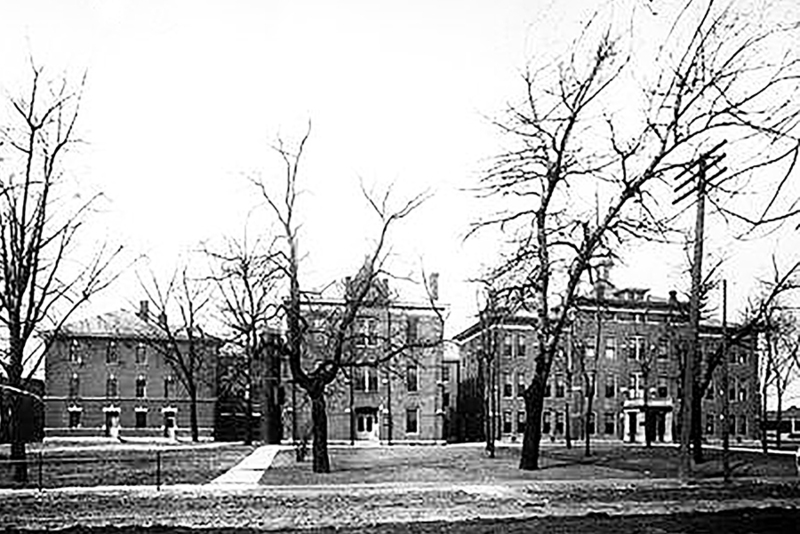 Wasson’s had tentative plans to build a new six-story building to replace the 1897 Journal Building, plans that never came to fruition. 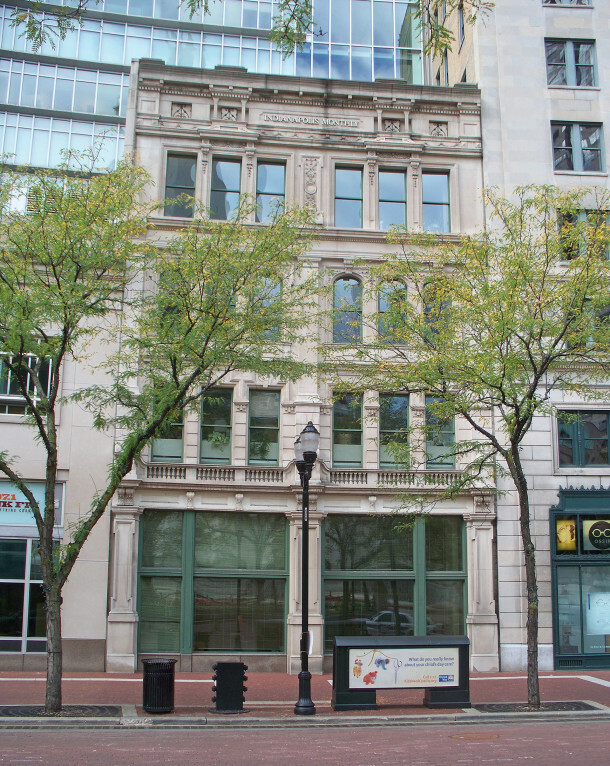 The Wasson Annex building on Monument Circle started its life in 1875 as the Remy Hotel. The Wasson Annex burned down in 1969. The vacant lot remained unimproved for two decades and became a small city park used occasionally for special events. The department store industry saw significant changes in the following years, with the mergers, acquisitions, and closures of many local, family-owned businesses. The last of the H. P. Wasson Company stores closed its doors in 1981. According to a history compiled by Emmis Communications, the Journal Building was demolished in 1980, but its limestone facade was kept intact, braced by a temporary steel frame. The original 1897 exterior of the Journal Building was incorporated into the new Emmis Communications building in 1998. Thanks go to Leigh Anne Johnson of the Indiana State Library and Mike Perkins of the Indianapolis-Marion County Public Library for their assistance in helping me to research this answer. I enjoyed your article about the Test Building. My father and aunt worked for Max Lang, Jeweler, who had a business in the Test Building, maybe on the 5th floor. As children, we would come to work with our Dad on Saturdays from Cicero sometimes, and I remember riding the trolley car, seeing the old English Hotel, and Peacock Shoe Store was next to the Canary Cottage, I believe, and maybe a Nut House. I am a 65-yr-old woman making a last effort at locating- or proving the existence of, should I say- my biological father, listed as David Allen Hamilton- who may have been working at a radio station in the proximity of the Canary Cottage Restaurant circa 1949-1950. I would love to have a bit of advice on these sources- I am beginning this search anew after a tidbit of info from a 95-yr-old aunt of mine. My previous attempts have proved fruitless- but now that so much info is available online?? Although there was evidently some traumatic association connected to my beginnings that prevented my mother from ever giving me any info- I always thought that eventually she would give in- but when I found her dead on the morning of my 44th birthday- she had succeeded in taking the story with her. Personally I think I’m the product of a wild and crazy holiday party betweeen Christmas of 1950 and New Year’s- but I’d love to know if she ever did really marry the man- if indeed the name on my birth certificate is even authentic. Any help greatly appreciated. Thanks for your time. I think I may have some answers for you . Look forward to hearing from you. 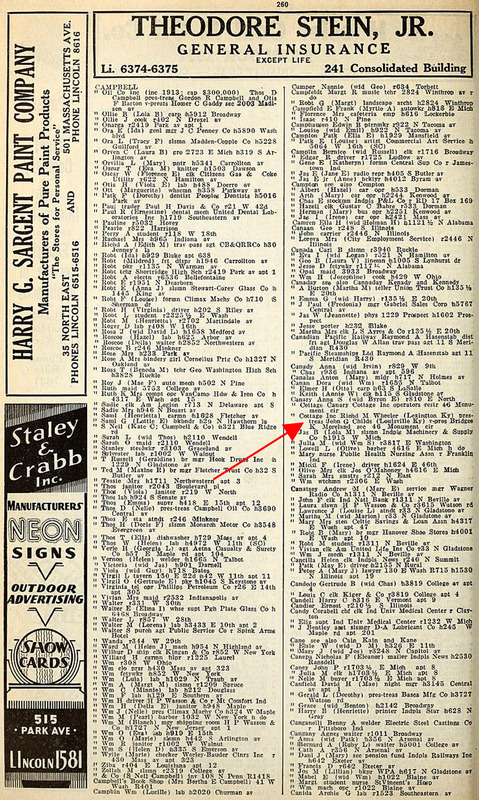 to any readers- Searching for connections or relatives of Evelyn Margaret Brialmont, Jeanne Holmes or David Allen Hamilton- who may have worked at and/or frequented Canary Cottage in 1950-1951.